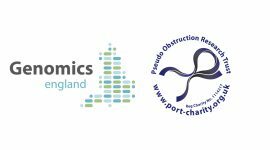 P.O.R.T is very pleased to announce that we have approved the funding for Dr Adam Farmer and Professor Qasim Aziz’ research project, called EVASION-CIPO, which is a feasibility study looking at the effect of transcutaneous and physiological Vagal Nerve Stimulation on symptoms and motility in patients with Chronic Intestinal Pseudo Obstruction, at a cost of £49,500. The proposed study duration is 16 months and is proposed to start in July 2017. It is being conducted with support from a colleague Prof Jens Frokjaer from Denmark. 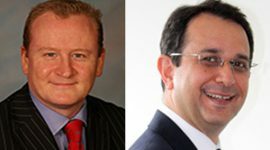 The aim of the study is to assess the feasibility of a definitive, double-blind, randomised controlled trial of physiological and electrical vagal nerve stimulation (VNS) in CIPO, with secondary aims including exploring the impact on patient-related outcomes including pain and health-related quality of life and to explore the effect of vagal nerve stimulation on small bowel motility, bacterial overgrowth and nausea. The aim is to prove the principle that VNS will improve motility and health-related outcomes in CIPO and investigate the feasibility of conducting a full definitive study, such that an application to the National Institute of Health Research can be undertaken to fund a definitive study. P.O.R.T is very hopeful that the principle behind the research will be proven to be correct, that the combination of transcutaneous and physiological Vagal Nerve Stimulation will improve small bowel motility, symptoms and health-related outcomes for people with CIPO. 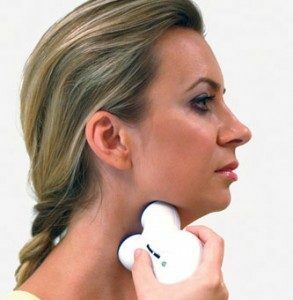 It is a non-invasive intervention, is quick, easy and painless to perform and comes with no side-effects. P.O.R.T is very hopeful that this study will prove the principle, that it will lead to the full definitive study being undertaken, and that in future will lead to transcutaneous and physiological Vagal Nerve Stimulation to become a standard management strategy for Chronic Intestinal Pseudo Obstruction. What is transcutaneous Vagal Nerve Stimulation? 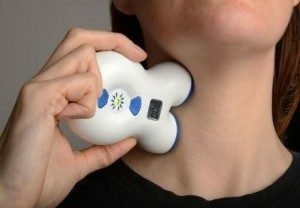 It is the electrical stimulation of the vagus nerve through a device placed on the skin of the neck. What is physiological Vagal Nerve Stimulation? Physiological Vagal Nerve Stimulation is the stimulation of the vagus nerve through the use of deep breathing techniques, which activates the vagus nerve and its functions. The vagus nerve is the tenth cranial nerve that runs down from the brain to the colon (large bowel) and controls the heart, lungs and digestive tract. It is the longest nerve of the Autonomic Nervous System – the nerves controlling the automatic or unconscious functions of the body. There are actually two vagal nerves, but they are often referred to in the singular. 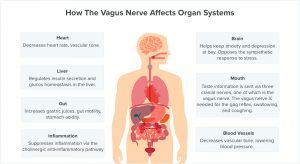 The vagus nerve is responsible for tasks including controlling the heart rate, gastrointestinal peristalsis (the coordinated muscular contractions of the digestive system), sweating and some of the movements of the muscles of the mouth such as those that are used in speech.